Global Stem Cells Group announced the grand opening of Regenestem Asia in Manila, Philippines, adding a new clinic to the international stem cell medicine company's growing worldwide presence. With clinics in Miami, New York, Los Angeles and Dubai, Regenestem Asia now offers the same comprehensive stem cell treatments and experienced medical staff that have fueled the company's worldwide growth. The launch of Regenestem Asia is a collaborative effort between Global Stem Cells Group and Eric Yalung, M.D. of the Cosmetic Surgery Institute-Manila, Inc., a prominent plastic surgeon committed to taking stem cell medicine, research and practice in the Philippines to a world-class level. The first Regenestem brand clinic in the Philippines, Regenestem Asia is a 22,000 square foot facility with a focus on offering the most advanced protocols in cosmetic cellular medicine to patients from around the world. 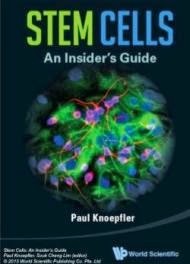 Under Yalung's leadership as Regenestem Medical Director, patients will receive the latest and least-invasive techniques in Stem Cell medicine available. Yalung is joined by a team of talented stem cell specialists to provide world-class patient treatment and follow-up care under the Regenestem brand. In addition to cosmetic treatments, Regenestem offers stem cell treatments for arthritis, autism, chronic obstructive pulmonary disease (COPD), diabetes and multiple sclerosis among many other medical conditions at various facilities worldwide. As part of its commitment to maintaining the highest standards in service and technology, Regenestem Asia provides an international staff experienced in administering the leading cellular therapies available. Like all Regenestem facilities, Regenestem Asia is certified for the medical tourism market, and staff physicians are board-certified or board-eligible. Regenestem clinics provide services in more than 10 specialties, attracting patients from the United States and around the world.